TORONTO, April 6, 2019 – Canadian-bred three-year-old Avie’s Flatter, the early 2019 Queen’s Plate favourite, made his season’s debut a winning one in the $150,000 Kentucky Utilities Transylvania (Grade 3) on Friday at Keeneland. Owned by Ivan Dalos and trained by Josie Carroll, Avie’s Flatter and jockey Javier Castellano held off the late-charging favourite Henley’s Joy to win the 1 1/16 mile stakes event in 1:42.86 on a firm turf. Avie’s Flatter is the early favourite in Woodbine’s predictive Queen’s Plate Winterbook rankings as the son of Flatter out of the Empire Maker mare Avie’s Empire went three-for-four last year while racing at his home track with feats including the Cup and Saucer Stakes and Coronation Futurity. Watch Avie’s Flatter’s winning sophomore debut below! 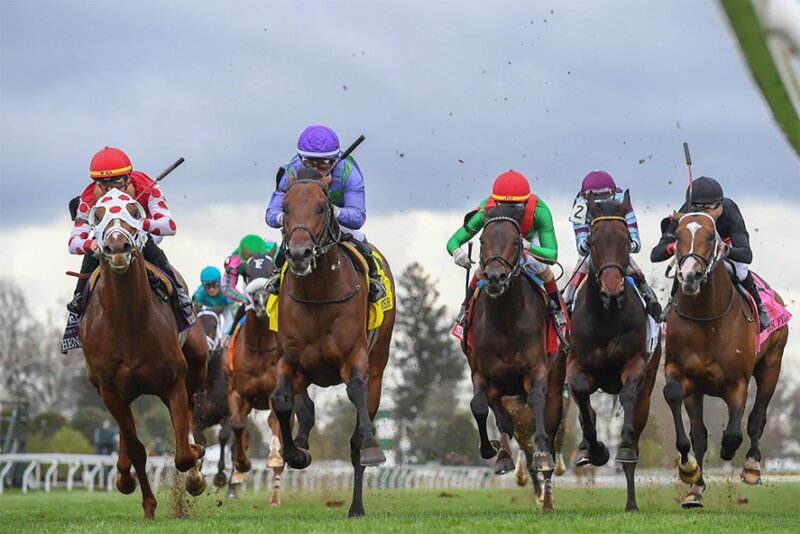 This entry was posted in Woodbine Insider and tagged 2019 Queen's Plate, Avie's Flatter, Horse Racing, Keeneland Racetrack, The Queen's Plate, Transylvania Stakes, Woodbine. Bookmark the permalink.